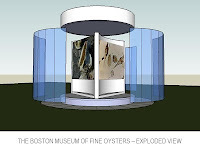 Go Shuck An Oyster: Boston Museum of Oysters - Help make it happen. Please allow me to take this opportunity to make you aware of the "BMIP" (Boston Marine Industrial Park) art competition underway sponsored by the City of Boston Art Commission. As you will find, I have submitted an entry entitled "Boston Museum of Fine Oysters." 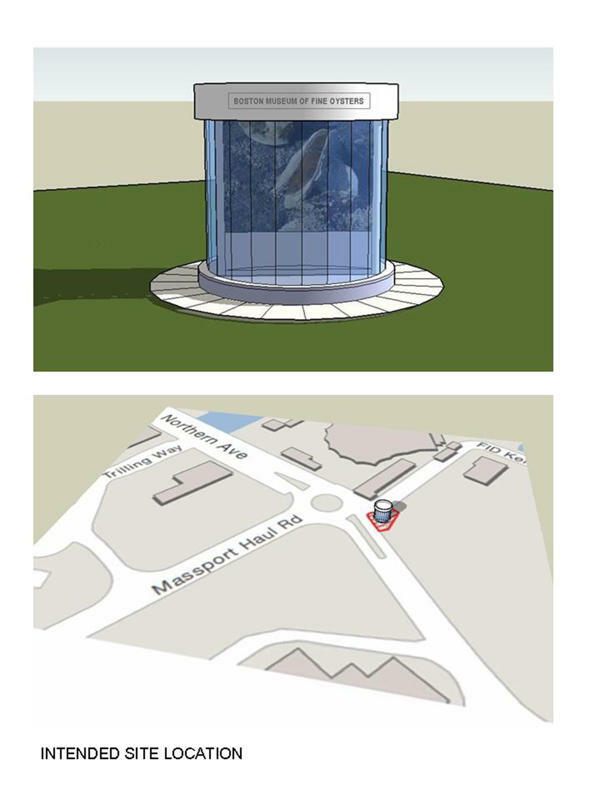 It suggests a small kiosk that will contain an oyster exhibit featuring significant scientific subjects, sea farming, and the social history of the edible oyster. The winning art competition entries will go on temporary exhibit in the South end of Boston at one of three predetermined sites. The emphasis of the exhibit is innovation and the new marine industrial park. 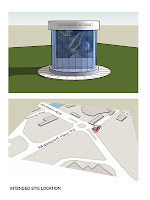 The marine industrial park itself is designed to emphasize local seafood. The authors of the competition have posted all of the entries on the Boston Art Commission Facebook website for viewing. They have encouraged Facebook members to indicate their entry preferences with the typical "like" sign. It is not yet clear whether the "like" scores will impact the final selection. Please take a few moments and review the entries. 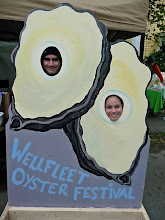 If you feel so inclined, and have a Facebook account, indicate your preference for the Oyster Museum idea. I believe the entire oyster community will benefit from the success of this idea - and I will get my 15 minutes of fame. For more information, contact Richard through his website.